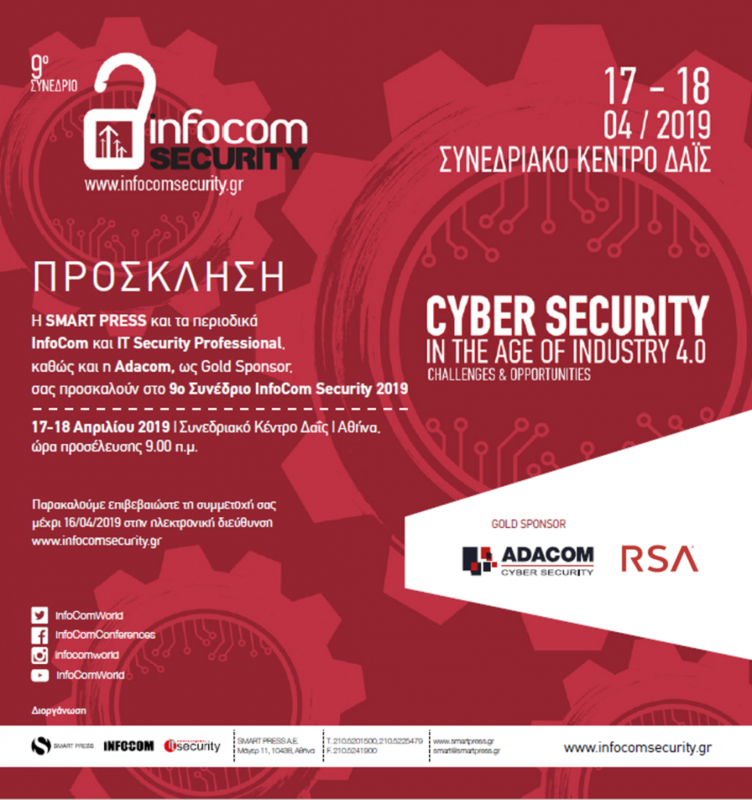 ADACOM partners with RSA at Infocom Security Conference 2019, 17 & 18 April at Dais Conference Center, Maroussi. The basis for Cyber Security in the Age of Industry 4.0 is the combination of the natural and digital world. The interconnection of machines with information and communication systems and the complete digitization of physical procedures through the combination of existing and emerging technological trends such as Cyber ​​Physical Systems, Artificial Intelligence, Augmented Reality, and the Cognitive computing, as well as Big Data, cloud computing and cryptocurrencies. Join us in our workshop «Managed Endpoint Detection & Response: How to Prevent, Detect and Respond to Cyber Attacks».